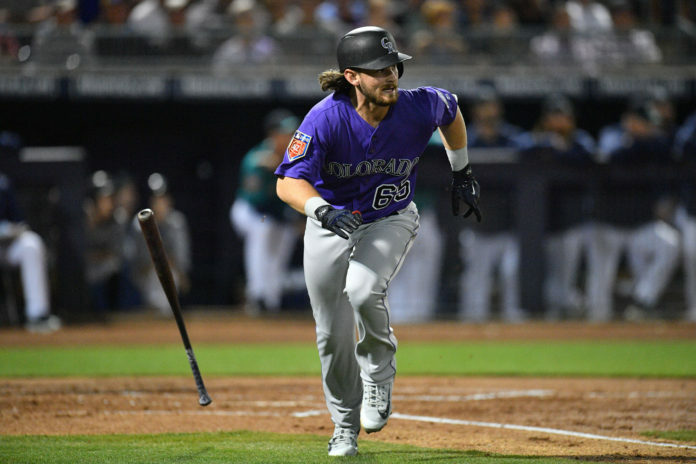 The Colorado Rockies have announced that infielder Brendan Rodgers and starting pitcher Jesus Tinoco will represent the Rockies in the 2018 All-Star Futures Game. INF Brendan Rodgers and RHP Jesus Tinoco will represent the Rockies in the 2018 All-Star Futures Game. 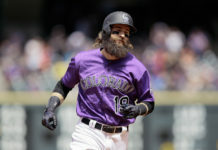 Rodgers was drafted by the Rockies with the third overall pick in the 2015 Major League Baseball Draft. He spent 2016 with the Asheville Tourists where he hit .281 with 19 home runs and 73 RBIs. Rodgers spent 2017 with both the Lancaster JetHawks and the Hartford Yard Goats, batting a combined .336 with 18 home runs, 64 RBIs, .940 OPS, and 125 hits in 89 games. Rodgers is currently ranked as the top prospect in Colorado’s system and number six in all of baseball. He is expected to make his Major League debut sometime in 2018. 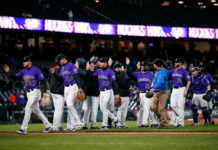 Tinoco was acquired by the Rockies in the Troy Tulowitzki deal that sent Tulowitzki and LaTroy Hawkins to Toronto in exchange for Jose Reyes, Jeff Hoffman, Miguel Castro and Tinoco. Tinoco was fabulous after the Rockies acquired him at the deadline. He enjoyed a 1.80 ERA over seven starts and 40 innings for Asheville in 2015. Tinoco spent 2017 with the Lancaster JetHawks (11-4, 4.67 ERA), and has spent 2018 with the Hartford Yard Goats (5-7, 5.46 ERA). Tinoco is currently ranked as the No. 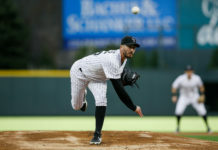 12 prospect in Colorado’s system and is expected to make his Major League debut sometime in 2019. The game will take place on Sunday, July 15 and the first pitch is scheduled for 2 p.m. MT on MLB Network. The format is USA vs. World.